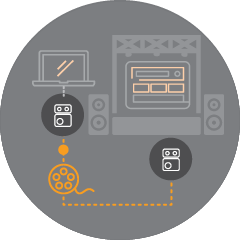 For image transmission it will still take a couple of years, for audio and sound systems it is already common use: the rise of IP technology. 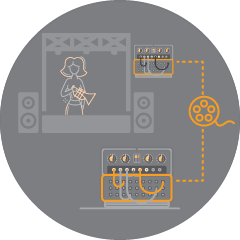 Digital formats promise excellent dynamic range as well as flexible routing options enabling live concerts in studio quality today. 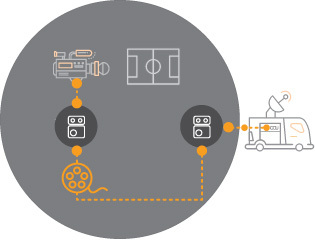 Together with high-performance fiber optic cabling, hundreds of high-fidelity channels can be transmitted over a single fiber optic connection using Audio-over-IP. Even critical factors, such as crosstalk, ground loops and other sources of electromagnetic disturbance, are relics of the past thanks to fiber optic technology. Exciting sports events, live events and on-site reporting are the ultimate challenges in the run for shares and for selling airtime. 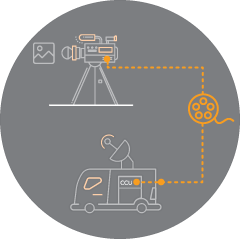 Especially in live broadcast, standards for production teams and hardware are being pushed because nowadays data-extensive added features such as 4K UHD, 3D streams and interactive media are integral parts of up-to-date media productions. 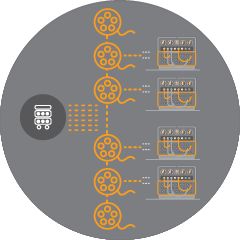 The growing part of fiber optic infrastructure within the production network is paramount for the adaption of new standards. Fiber optic connections are ideal for applications in the field. They outrange distance restrictions of copper-based signal transmission by far while offering outstanding robustness against temperature change, dirt, moisture or tensile strain. 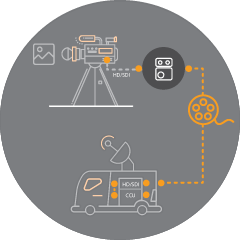 The general adoption of the HD-SDI standard 25 years ago has started a change in studio technology that is sill ongoing today – a technological evolution rather than a revolution, compared to the rapid change of the IT industry. But also in media production, the innovation cycles have become ever shorter due to higher audience expectations, general cost pressure and the rise of new media products. 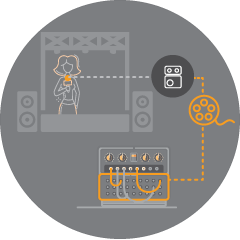 Fiber optic systems already meet the demand for format-independent, scalable physical platforms for future media transmission. Advanced optic technology, such as wavelength multiplexing(xWDM) makes backbone bitrates of 40/100G or even 400G possible without major adjustments to the fiber optic cabling. Fiber optic systems make scalable studio network capacity available for ever faster technological and economic developments in the long run. The standards UHD 4K and ATSC 3.0 are technical developments for broadcast companies that will definitely show the performance limits of conventional studio infrastructures. High-performance fiber optic systems will become an important factor for the future. 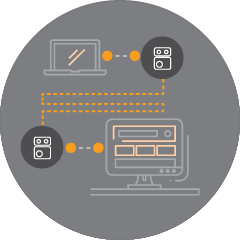 They support increased flexibility for previous value added chains by enabling production companies and broadcast stations to move literally boundless data volumes within the production hierarchy, thus using technical and personal resources at the best.